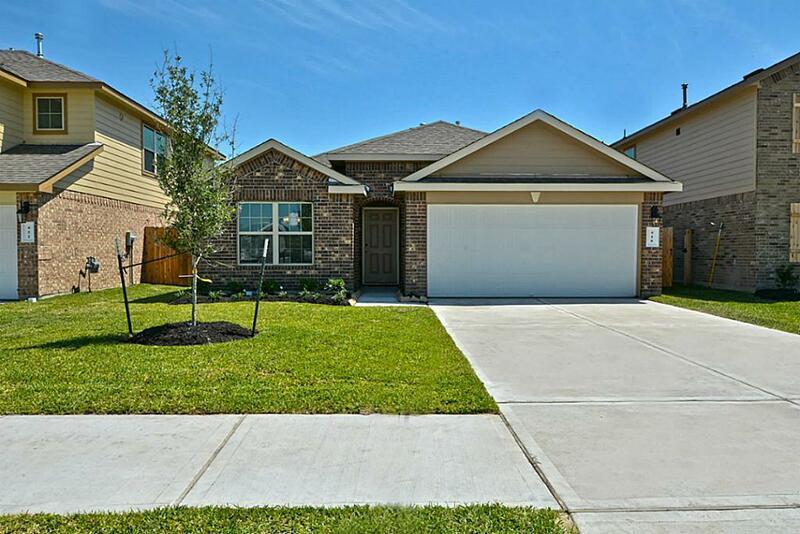 Gorgeous One Story Ranch Style Home by America's #1 Builder, D.R. Horton & Express Homes! 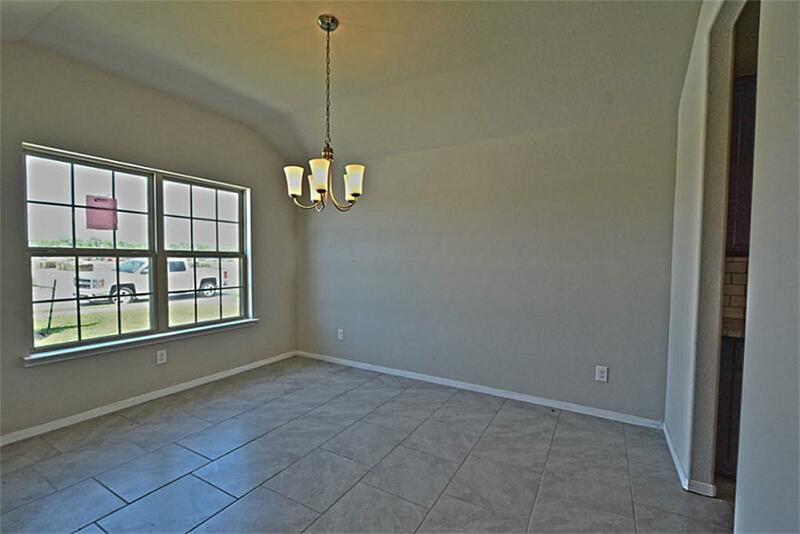 Stunning Open Floor plan with Beautiful Large Tile Floors! Covered Front Porch Entry w/Upgraded Coach Lighting to welcome you home in the evenings! 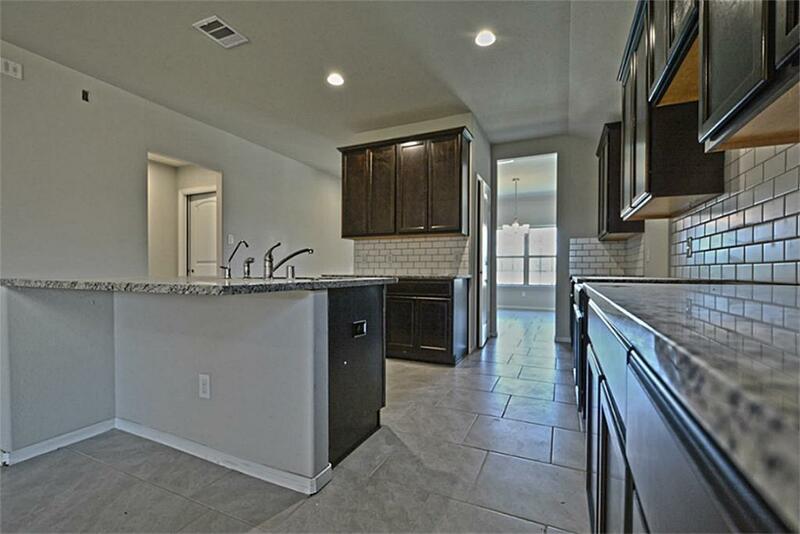 Elegant Formal Dining with direct access to your Gourmet Kitchen with Beautiful Granite Counters, Tall Cabinets, Working Island, Stainless Steel Appliances & Drinking Water Filtration System! Amazing Family Room w/Walls of Windows providing lots of natural light insidea & flows gracefully into your Spacious Master Suite w/High Ceilings & Luxurious Bath w/Extended Vanity with Two Private Sinks, Over-sized Walk-In Shower, Huge Walk-in-Closet! Covered Rear Patio! HERS Energy Rated, Vinyl Double Pane Tilt Sash Low E Windows & is Certified Energy Smart which saves you on utility costs! Subdivision stayed High & Dry during storm!Zoned to Outstanding Schools! 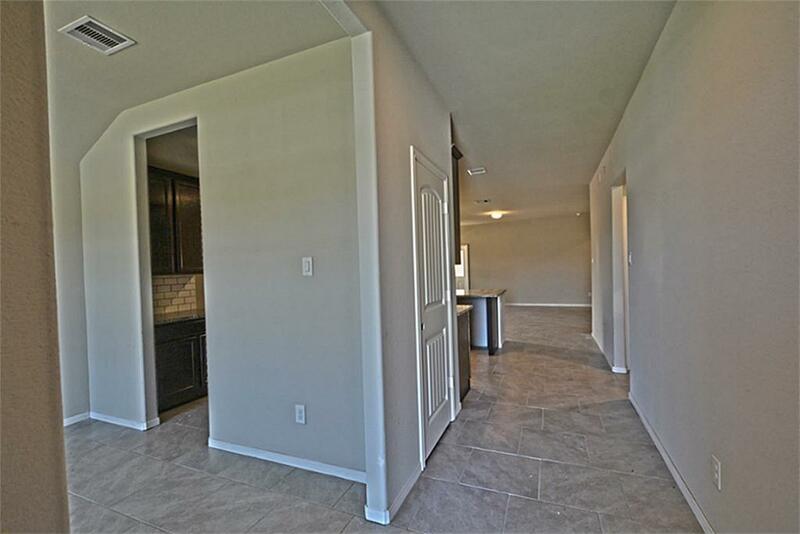 Wonderful Amenity Center w/Playground, Splash Pad & Walking Trails! Call today!